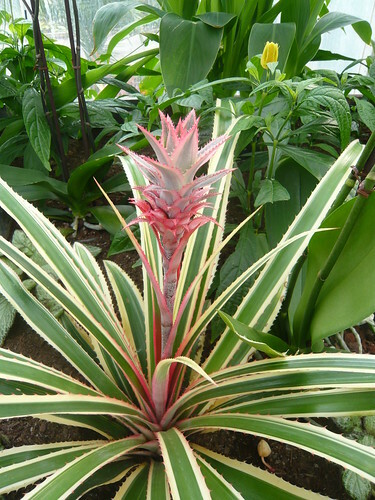 Members of the Pineapple family Bromeliads grow in the tropical and sub-tropical forests of the Americas. There are also hot desert and cool mountain varieties amongst this large family. 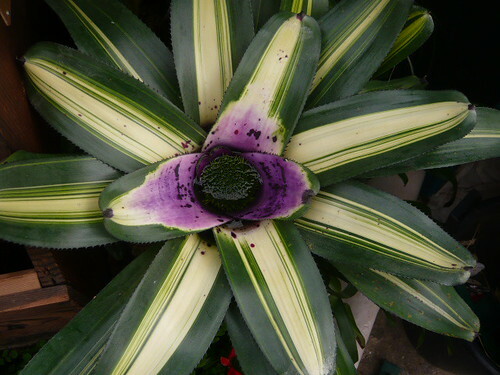 All 3000 + varieties of Bromeliads are composed of a spiral arrangement of leaves sometimes called a rosette. There are Terrestrial (soil grown plants) and Epiphytic species growing on other plants and trees. They are slow and hard to bring into flower generally only flowering once. After flowering they produce offsets called ‘Pups’ from which new plants will grow. The green, leafy top of a pineapple is a pup that may be removed and planted to start a new plant. Flowers are generally central spikes held away from the plants or short with the flower nestled in the centre. Vreiesea are probably the most freely available plants with over-lapping bracts producing a sword shape. Tillandsia and air plants are epiphytic Bromeliands. 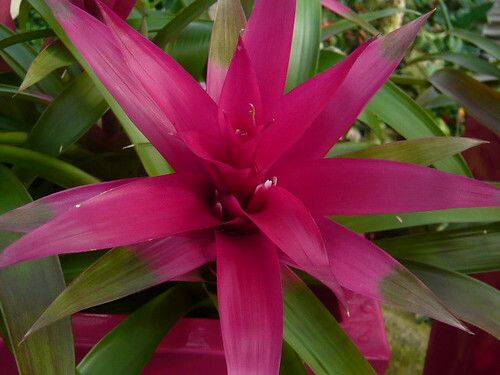 Billbergia is one of the easiest Bromeliads to grow indoors. Cryptanthus or Earth Stars are grown for coloured foliage. Bromeliad International society has many pictures and further information for the specialist and hobby grower.